“This short and meager account of his life is dedicated in the hope that the influence and example of the good man gone may be of use in encouraging others who would tread in his steps and achieve successes similar to his own”. Born William Ford Robinson Stanley on Monday 2nd February 1829 and baptised Wednesday 4th March 1829 at St Mary’s Church, Islington. William’s parents were John Stanley, a mechanical engineer & Selina Hickman who married in 1826 and at the time of William’s birth lived in a house on the site of the current Highbury Station. The Stanley’s ancestral home however was at Cumberlow Green, Buntingford, Hertfordshire. William was named after his Uncle William Ford Hickman who was his Godfather. William’s formal schooling was very limited. He spent most of his youth in poverty, struggling to gain even an intermittent education and was mostly self taught. As well as mathematics, he taught himself mechanics, astronomy, music and French. With a little assistance from his Godfather. However despite his intermittent education he went on to attend lessons in technical drawing at the London Mechanics’ Institution (LMI) which is now known as Birkbeck College. William left his school years behind at the tender age of 14 in order to help his father. But attended engineering and phrenology lessons at the LMI in the evenings when he enrolled in 1843. This had been paid for by his Godfather when William had run away from home in order to escape the poverty and to live with his uncle. In 1849 he worked with his father John Stanley at an engineering works in Whitechapel. Though his father was a skilled tradesman he had no real head for business. 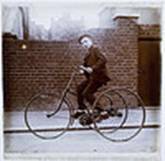 While working with his father William made improvements to the design of the tricycle and by 1854 had created his own business at 3 Great Turnstile, Holborn, London as a worker in metal and ivory and a scientific instrument maker. His 'Panoptic Stereoscope' introduced in 1855 proved profitable and the business expanded with the addition of another shop at Holborn Bars. At the 1862 International Exhibition he was awarded a medal for his straight line dividing engine. This award brought him considerable extra business and laid the foundations for later large-scale business success. William’s father passed away on Thursday 31 August 1865 and was interred at Highgate Cemetery, having lived long enough to see his son well on the way to future success. He commenced work as an author and in 1866 published 'A Descriptive Treatise of Mathematical Drawing Instruments' which became the standard work on the subject reaching a seventh edition in 1900. Further branches of the business were opened at Lincoln's Inn, London Bridge and Norwood and the firm became W F Stanley and Co in 1900 with a capital of £120,000. 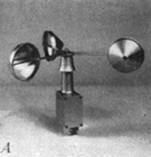 William made substantial improvements to the theodolite and other surveying instruments and his numerous inventions included a meteorometer patented in 1867 which recorded simultaneously wind direction and pressure, temperature, humidity and rainfall. 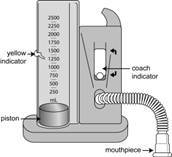 There was also an integrating anemometer (1883), a coin in the slot machine (one of the first of its kind) for automatically measuring people's height (1886) and a spirometer for determining lung capacity (1887). He had a considerable interest in photography and made improvements to camera lenses. As well as his many scientific interests William involved himself in painting, wood carving, architecture, music and drama and he lectured widely. He composed part songs and had some of his oil paintings have been exhibited at the Marlborough Gallery. He designed his own house, Cumberlow, in South Norwood to which he retired in later life. Sadly the house was accidently knocked down in 2006 which caused an outcry by local residents, and members of the William F Stanley Trust. As an author he was quite prolific and amongst his works might be mentioned 'Photography Made Easy' (1872), 'Stanley's Pretty Figure Book Arithmetic' (1875), 'Experimental Researches into the Properties and Motions of Fluids' (1881), 'Surveying and Levelling Instruments, theoretically and practically described' (1890), and 'Joe Smith and his Waxworks' (1896). In Croydon and Norwood he took a prominent part in public life and many local hospitals, technical schools and other charities benefited from his generous philanthropy. Near the bottom of South Norwood Hill close to Norwood Junction railway station you can still admire the excellent Stanley Halls designed and paid for by William Stanley himself and first opened to the public on Monday 2 February 1903 at a cost of £13,000. At first there was a Hall and Art Gallery but another hall was added in 1904. In 1907 adjacent to the north of the halls the Stanley Technical School was opened and became an immediate success. William later dedicated the buildings for public use and alongside that he gave an endowment to the value of £50,000"
A cast-iron clock tower was erected in South Norwood at the junction of Station Road and the High Street in 1907 to mark the golden wedding anniversary of William and Eliza Stanley (Savory) and this is still in place. They had married on William’s birthday in 1857. The clock tower was financed by local public subscription as a tribute to William’s generosity. The Stanley Halls continue in use for a variety of purposes now administered by the local authority and a blue plaque on the facade records brief details of William Ford Robinson Stanley. These interesting and singular Edwardian buildings deserve to be better known. In recent years theft and vandalism have taken their toll but there is still much to be seen. The busts of Darwin, Faraday and Co over the entrance to the main hall have been stolen and William Stanley’s bust over the door to the former Art Gallery is no longer there. Beside the door a plaque even now advertises that admission to the Art Gallery is free. No doubt some of William’s paintings once hung there. Inside the main hall, grills for the warm air ventilating system devised by William can still be seen and the heating boilers are still in the basement. Throughout the buildings the interior detailing and woodwork is excellent and there are some very nice tiles. Over the proscenium arch in the main hall an inspiring slogan is emblazoned which in several ways expresses ideals William Stanley would one feels sure like to be remembered by. Though he was named William Ford Robinson Stanley at birth, William dropped his third name ‘Robinson’ in later life after his chequebook was stolen and he altered his signature as a security measure. William was something of a futureologist too. Making numerous predictions such as that sometime in the future electric trains would pass through a tunnel under the English Channel, enabling easy travel between the UK and mainland Europe. We would one day be using small plastic cards instead of cash to pay for our transactions. One day women would play a much more prominent role in public life. Telephones would be connected to Gramophones to make answering Machines. Fox Hunting would be banned, and that one day we’d be able to photograph the inside of the human body. 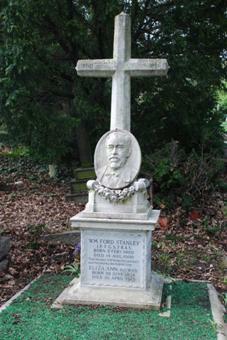 William Ford Stanley passed away in his sleep at 01:45 on Saturday 14 August 1909 following a long illness, he had suffered kidney failure and a subsequent heart attack. His beloved wife Eliza Ann died several years later on Saturday 26 April 1913. They have both been laid to rest together in a quiet plot at the Beckenham Cemetery, Elmers End, in an area that was reserved for parishioners of St John’s Church. William Stanley had long been worried about the lack of technical education in Britain. Other European countries were forging ahead, and when, in 1902, London needed 2,000 taxis, it was Renault of France who provided them. The British car industry was quite simply not developed enough at the time to produce vehicles in this quantity. Having long been an admirer of the Trade Schools in Germany and being extremely concerned that boys in particular were leaving UK schools at the age of 14 without any real foundation for earning their way in the world, he set about the task of building and establishing the curriculum for the Stanley Technical Trade School, as it was called then, in order to provide the sort of skilled labour that the country needed. The opening of the school was reported in detail in the Croydon Advertiser and Surrey County Reporter of 30th March 1907. It cost £50,000 to build and was freely dedicated for use by the public. Sadly, down the years with the exception of the school buildings this property was all sold off to help fund the running costs of the school. From its inception fees were charged for attending the school, being one shilling a week. However these could often be waived if the boy’s father was unemployed. This tradition remained in force till the late 1990’s when the practice of the covenant was ceased and the intake opened up to a much broader area. A decision that may ultimately, and sadly, have brought about the demise of the school. Indeed we now find ourselves in the position of seeking desperately to keep the name of this great Victorian philanthropist in the forefront of school life in the South Norwood area. We quite simply must never forget what this man did for the South Norwood community and indeed for the country as a whole. He should always be recognised as a man way ahead of his time in terms of his thinking and ambition and to whom we all owe a great debt of gratitude. 1907 – Stanley Technical Trade School opened. 12-15 Years, 2 forms. 1939 – World War II. School temporarily evacuated to Balcombe and later to Devon. 1944 – Stanley Technical Grammar School. 11-18 Years (11+ entry), 2 forms. 1959 – Opening of Science extension, 4 laboratories & kitchen block. 1971 – Second extension at front of building, 7 Classrooms and offices. 1972 – School intake changes to 14-18 Years. Comprehensive 4 form entry + 6th form. 1978 – Small sports hall opened. 1988 – Cook wing extension opened, 6 classrooms. 1991 – School intake changed to 11-16 Years, losing 6th form. 1995 – Fortune House site acquired with a view to the expansion of the school. 2007 - School closes and transfers its pupils and the original Stanley school buildings are leased to the Harris Academy South Norwood., receiving very substantial refurbishment in the process. This was set up as a charitable Trust to ensure that the basic ethos behind the founder's wishes to better prepare boys for employment in industry continue to be met. The Stanley Foundation was originally formed to assist with the management of the Stanley Trades School which over several decades evolved to become the Stanley Technical High School. During the year or so leading up to the formal closure of the Stanley school as at 31st August 2007, the original Stanley school buildings received very substantial refurbishment in order to be ready to form a significant part of the new Harris Academy South Norwood which was operational with effect from 1st September 2007. The Trust continues to support the pupils of the South Norwood and North Croydon area through formal provision of a permanent appointment to the South Nowrood Academy board of governors. The ethos only slightly altered to reflect the mixed school intake, passage of time and the huge advances in technology so that the aim is now to better prepare young people for employment in the 21st century in a technology rich world. 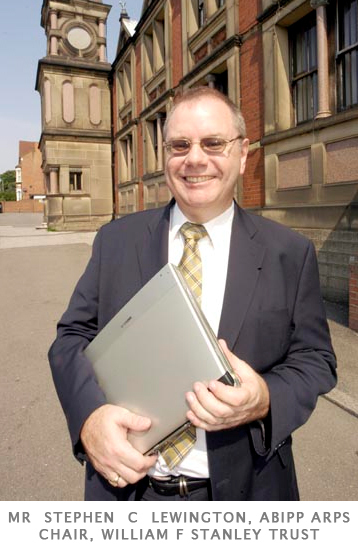 For many years up until March 2014 the trust was chaired by Steve Lewington who was formerly the Chair of Governors at the Stanley technical High School (STHS). Mrs Joanna Freeman (former Deputy Chair of Governors STHS) serves as Trust Chair providing continuity from Steve's work. Joanne is supported by the following trustees: Bob Arndtz (Chair of Governors STHS for the former school's final 2 years), has served as Trust Secretary since 2005, Colin Moore (Stanley Foundation member for well over a dozen years), Mrs Bernadette Loderick (former Parent Governor, STHS) and Trustee since 2005, Mrs Uli Fountain Trustee since 2005, Mrs Jennie Roach-Hamilton Trustee since 2007, Mr Chris Shaw (teacher for approx. 30 years spanning STHS and the opening years of the South Norwood Academy) joined the Trust in 2008 and from March 2013 Mrs Daphne Allen (another long-serving now retired former teacher, STHS. Trustees wish to mark the sad passing away in October 2016 of Peter Allen and applaud his long service and dedication to the Stanley School spanning several decades - first rising to serve as Senior Teacher of Science for many years and helping the boys to learn sailing and then serving as Governor and then as a Trustee. Thank You Peter - and happy sailing. Facebook We now also have our own facebook 'Group' page for Stanley Technical High School. Please take some time and come and join us. We are always interested in learning about what former Stanley pupils have been doing since they left school so please let us know. We’d love to hear from you. Whether you left in the 20’s, 50’s, 80’s or even more recently. We’d love for you to leave us your anecdotes about your time at the Stanley Technical School. Send us a message at admin@williamfstanley.org and we'll be in touch. We have a list of all of the addresses and contact details of everyone that attended the Stanley School Centenary celebrations in 2007 so if you cannot find someone then give us a try we might just have what you are looking for. If however you didn’t attend the celebrations please send us your contact details (Address, Telephone, Email) And also details of when you attended the school. We can assure you that this detail will not be used for any purpose other than social contact events and to put people in touch. Remember. You are always a Stanley boy whatever you have gone on to achieve in life, and wherever in the world that has taken you since you left. So please keep in touch with us.